Brandon LaFell should have kept his comments to himself. Wide receiver Brandon LaFell took his talents from Carolina to New England this offseason, which is well within his rights as a free agent. What’s more, his reasoning for going there was sound. 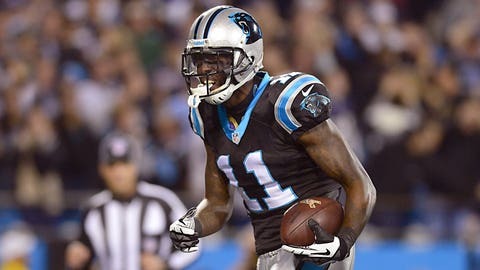 "Because I had a chance to play with a Hall of Fame quarterback," LaFell told CSN New England. That Hall of Fame quarterback is, of course, Tom Brady. Well, duh! Who wouldn’t want to have Brady throwing lasers at you for touchdowns and tons of glory? But then, LaFell added this: "One day Cam will be there probably but he’s not there now." It was a reference to his now-former quarterback Cam Newton. A few fans gave him some supportive comments, which he replied to. Then, he fired off this message. Good call. Just chill out for a while until everything blows over. But the lesson to learn here is this: Don’t rip your former employer when you find a new one. It never helps. Just move on and don’t look back.